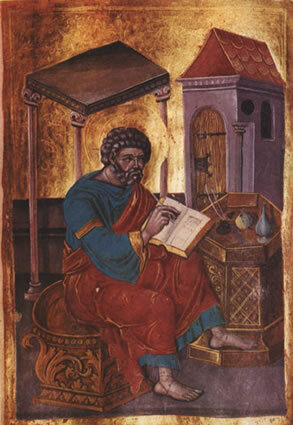 INTRODUCTION: It often argued by biblical scholars that The Gospel of Mark is the most primitive of the four Gospels, and for that reason it is less adorned with theology and layers of tradition and interpretive meanings – and that, as such, it presents the most unvarnished or least engineered picture of who Jesus really was. Whether this analysis concerning the Gospel of Mark is valid is the subject of scholarly contention, but the purpose of this note is to suggest that, whatever the case may be, the Gospel of Mark clearly and definitely establishes the divinity of Jesus. What I have done in the chart below is simply to label the passages from Mark’s gospel that point to or bear upon the divinity of Jesus. CONCLUSION: From the many verses set forth above it can be clearly seen that “recognizing Jesus as the divine Son of God is the goal of Mark’s Gospel” (ICSB, p. 62). In short, the Gospel of Mark is replete with references to Jesus’ Divinity. References: For this note I have been relying on the commentary to the Ignatius Catholic Study Bible, although the scriptural quotations above come from various translations.